Guava should eat to human being daily because it helps in digestion . If you eat ripe guava in constipation , constipation can easily remove just three days . Guava contains vitamin c in high quantity so , it treats all skin problem and makes your skin soft and clear. With eating of guava , your memory can increase . with eating of guava all worms of stomach can easy die. With eating of guava , you never face kidney stone problem. If you faces the problem of mouth blister , then you should Chew the leaves of guava tree . It teats the heart problem. 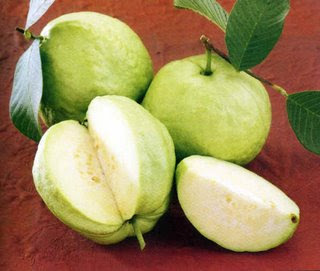 It powers to liver , if you dink by mistake then you should eat guava , it will be helpful to give power to your liver . Guava is also helpful for making body Strong .